There are so many interesting cake decorating and chocolate moulds out on the market it's so hard to show restraint in how many different ones I buy! I remember the first one I bought, it was a gorgeous cherry blossom theme. I thought it was perfect for my daughter's next birthday cake idea and I just couldn't wait to try it. Unfortunately it was a major let down. I was so frustrated the fondant would stick and only bits came out, I greased it with shortening (Copha here in Oz) but then it wouldn't stay in long enough to smooth the back! Ahhg total nightmare and I felt so frustrated I wasted money on a poor product. Well a few months later I pulled the mould out again, and decided there must be a better way! I got my Google on and searched forum, blog and website and finally found a solution that many in the sugar craft world already knew! 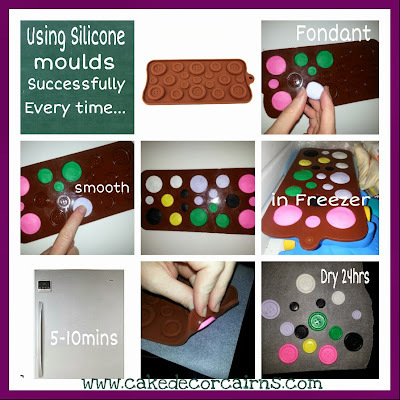 So this is my preferred method for sillicone moulds. It works every time and has saved me a lot of frustration! 1.Make sure your mould has been washed and air dried before first use. 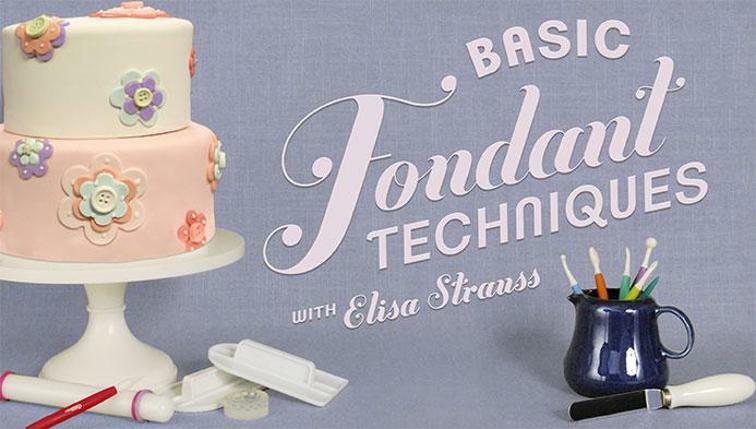 2.Using CMC/Tylose treated fondant (or gumpaste) make small balls that roughly will fit your mould cavity. With practice you will get an automatic sense of quantity. 3. Push into the mould and smooth it down, if you have too much, scrape it of with the back of a plastic knife. 4. Place flat into your freezer for around 5-10mins sometimes much longer, the time will vary depending on the size of the shape. It's also ok to leave overnight if you need to. 5. Once the fondant is hard pop them out on a flat tray lined with baking paper. Do not be tempted to touch them any longer than a quick second to flip them right side up.